The more common and convenient way to travel with a dog is surely by car. When my husband and I moved to the UK we used a van to carry our dog and all our stuff, and I can’t imagine how we would have done without. 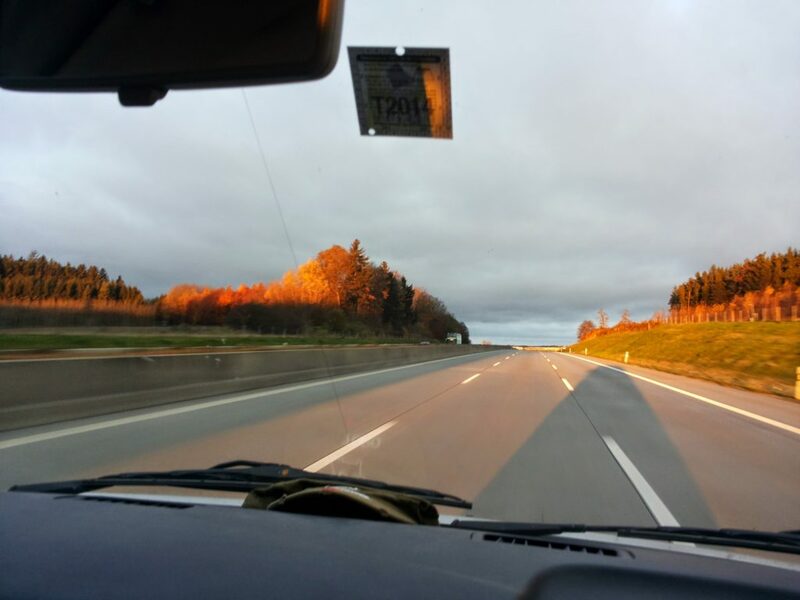 In this post I will tell you about the options available to cross the Channel or travel from another European country by car with your furry friend, and provide you with all useful links to plan your own journey (for information on the pet travel scheme rules see this previous blogpost). loading your car on the Eurotunnel rail from Folkestone to Calais. There are a number of ferry companies operating from and to the UK. To enter the UK you have to travel with one of the approved ferry companies via an approved route, so I thought to provide you with the relevant links to the pet transport conditions of each ferry company. For your ease of reference I have created two tables showing the companies operating on the approved routes, between the UK and France, and the UK and the rest of Europe respectively. I also collected more detailed information about each ferry route’s pet transport conditions and pricing, which you will find below the first table. But where will your dog travel on the ferry? I searched each ferry company website and collected the relevant information, also indicating dog fares (intended for each way and per dog). The links below are to the pet travel conditions for each route. they also have some Northern Ireland routes: Larne – Troon; Larne – Cairnryan (up to 4 dogs, travelling for free, in the vehicle). 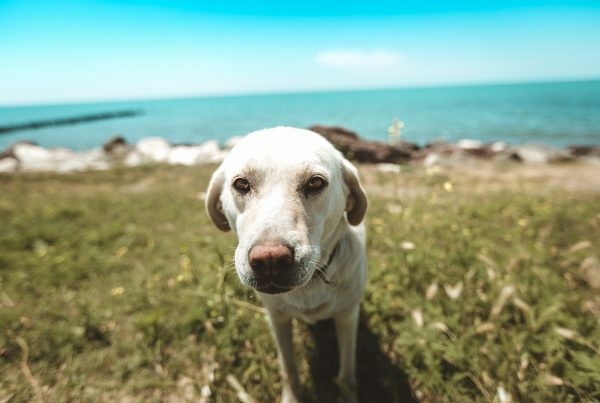 Brittany Ferries: general information about pet travelling can be found here and here, and regarding onboard kennels and pet friendly cabins on this webpage. The fares per pet are the following: UK to France £16.50, France to UK £24.75, UK to Spain £29.50, Spain to UK £39.50. They also released a video (link to Youtube). Portsmouth-Bilbao/Santander: onboard kennels, on Cap Finistere ferry also pet friendly cabin, while only onboard kennels on Pont-Aven and Bretagne ferries (see general information links above for further details). DFDS Seaways: pet travel information are summarised here. 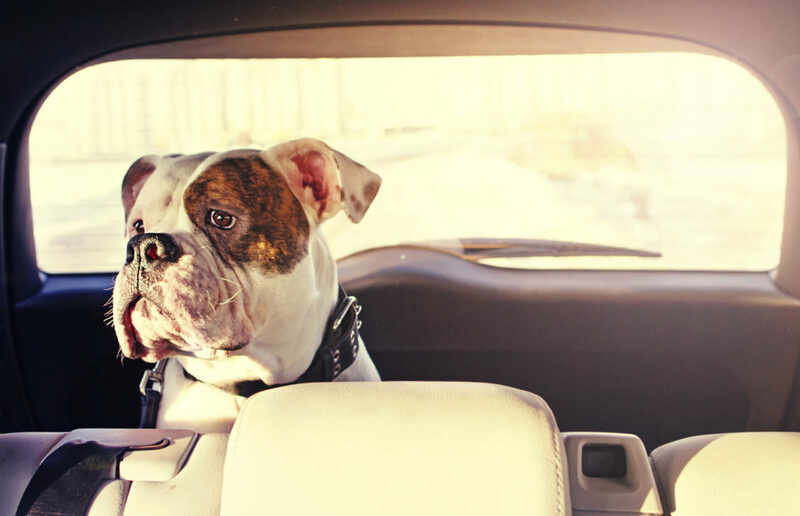 Newcastle-Amsterdam (£19 per dog, dog travels secured in vehicle or in onboard kennels with foot passengers previous booking, visits allowed). Condor Ferries: the relvant pet travel information are available on this webpage. they also offer routes to and from the Channel Islands. Harwich-Hook of Holland (The Netherlands): £14 per dog (see point 5.6.5 of the Terms of business), dogs are allowed also with passengers on foot, they must travel in the onboard kennel which needs booking, alternatively they can travel in the vehicle (but this is not recommended), you can visit your dog with a crew member. A pet travel guide is available. LD Lines/LD Transmanche Ferries: no information available. As you may have noticed, on some routes you are required to leave your dog in the vehicle (car/van). 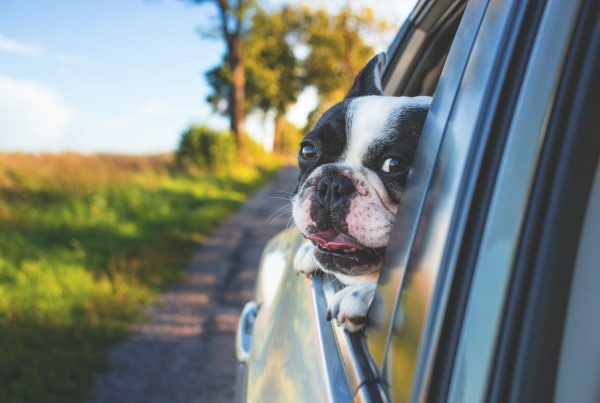 This is something that you should take into account when travelling during warm summer days, since it could become particularly hot in the hold where you will park your car and put your dog’s health at risk. In fact, it has happened in the past that dogs have died from the hot temperature in the vehicle they were left in (see, as an example, this 2014 news article on the Daily Mail). To avoid this risk, you could choose to travel during the less hot hours, i.e. evening/night, opt for a route and company allowing your dog in the cabin/onboard kennel, or, if convenient, go for the Eurotunnel option which is air-conditioned (I will talk about this at point #2 below). If you already have an idea of the time you wish to board, I would strongly recommend that you purchase your ticket online and with much advance, because you will be able to get much better prices than buying it at the ticket office once you get to the port. Online you will be able to indicate that you are travelling with your dog and pay the correct fare. When my husband and I travelled by van we chose to cross the Channel by ferry from Calais to Dover. This is what the trip looked like. Once purchased the ticket at the ticket office, we drove to the border checks, where we were asked to present our passports/identity cards and our dog’s pet passport, as well as to scan our dog’s microchip with a scanner they handed over. Once the officers checked that our dog’s microchip matched the number on the passport and that he had the required vaccination and treatment, we were given a paper to stick on the front windscreen, saying that an animal was being transported, and we were let to drive and board on the ferry. We parked the van in the hold and gave the dog some water before leaving the vehicle. Like the other passengers, we had to leave the parking area in the hold (which was then locked) and travel on the decks, while our dog had to stay in the van during the whole crossing. An hour and a half later the ferry docked in Dover and we were reunited. As an alternative, you can travel via Eurotunnel Le Shuttle between Folkestone (UK) and Calais (France). I have never tried this route yet, but according to the information available on their website, you will drive on the train and then stay in/with your car for the 35 minutes travel. You can stay in or out of your car in the carriage, but your dog must stay inside the car for the whole crossing. Anyway, according to their website, there are dedicated dog exercise areas before boarding in Folkestone and in Calais. The carriages are air-conditioned and there are up to 4 departures per hour, with a cost of the ticket for your dog currently of £18 on top of the regular ticket. On the Eurotunnel Le Shuttle’s official webpage you can find futher information about pet travelling via Eurotunnel. They also released a video showing what a dog travel via Eurotunnel looks like. I found it useful, so I thought to paste it below. Hi, I am looking to move from the UK to Europe with my dog. The main issue I am having is figuring out what to do with my car once I arrive in Europe as it is right hand drive and registered in the. I was wondering what you did with your van when you first arrived in the UK? I would like to let you know of my experience on the Dieppe to Newhaven ferry. Since we live in Rouen (50 minutes drive from Dieppe) we favour the Dieppe to Newhaven route. We have done it twice with our dashund. and we’ll do it again. The dog has to stay in the car, but since we take the night ferry, it will never get too hot in the garage. We make him cosy for the night, with his favourite couch, rug and toys. He has to stay there for about 4 hours, but I must confess that we give him a light sleeping pill in case he gets anxious . We feel relieved in the morning when we find that he has had a good night (probably better than us)… I don’t think it would be wise to come and visit him during the crossing, it would disturb the little chap. I recomment the Dieppe Newhaven line to anyone coming from the South of England. Besides, Dieppe is a small harbour, easy to control, and we have never heard of serious troubles. Thank you Philippe for telling about your experience with your dachshund! It sounds like a nice journey! 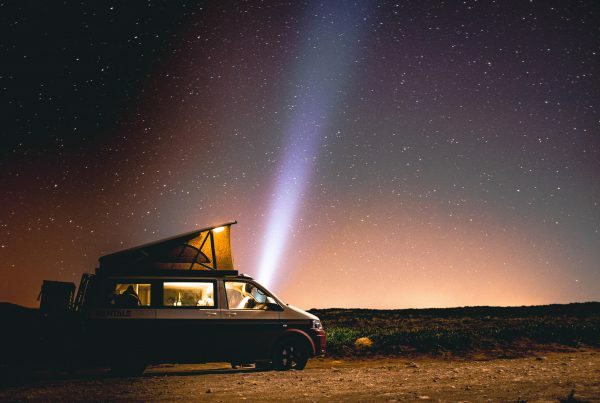 This is something we have been trying with different routes from London to Madrid regularly with our little buddy Quijote. We refuse to fly due to the many difficulties and we wont put our buddy in the cargo hold. We have used the Euro tunnel from Folkestone and found this to be a great route and easy to use check in either side and both with great doggy excercise areas to use. It does then require us to drive through France but with the help of Booking .com its easy to find many dog friendly hotels on route. P&O Ferries dove to Calais as above states your buddy needs to remain in your car during the crossing, not something we are keen on so never tried. Our favourite and first choice is Brittany Ferries between Portsmouth and Santander or Bilbao. There are limited sailings each week and pet friendly cabins are available on these crossings so you can be with your buddy the whole journey but advisable to book in advance due to limited availability. 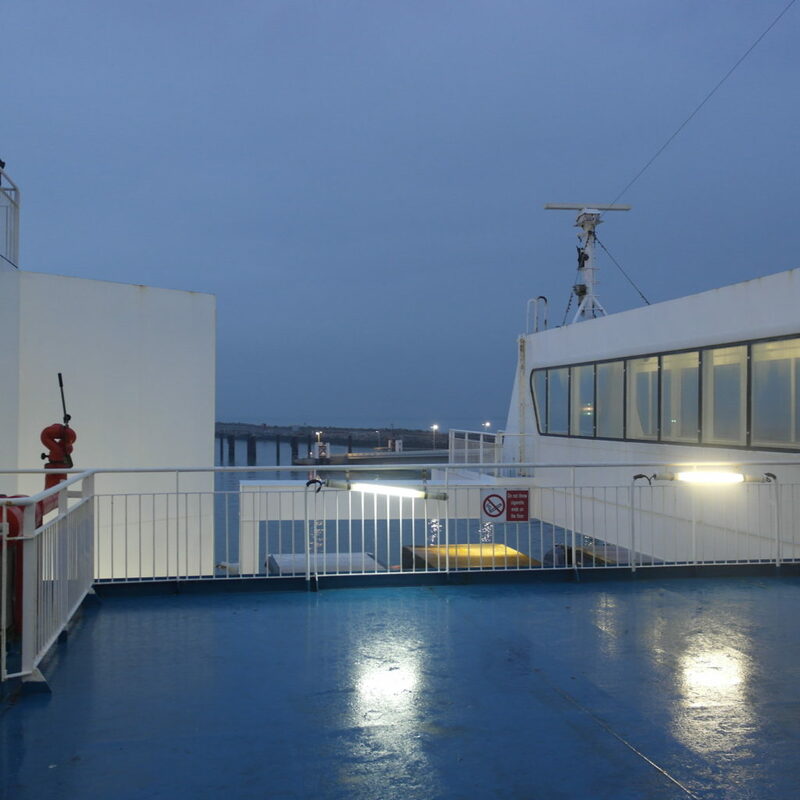 They have a small excercise area on board but in bad weather you are not permitted to use. Our advice is to take puppy training pads to place in your cabin so your buddy can still be comfortable for the 26hr crossing. Your buddy is not permitted within any other area of the ship so if like Quijote who loves to play ball all day, entertaining him can be limited.